POOR TUCKER. HE was supposed to have his first gig Tuesday afternoon. It didn't go well, so I'm trying to console him. Tucker, our beautiful rescue Border Collie, agreed to come with me to the Quincy Public Library for a demonstration and talk about pets in the workplace. It's part of a summer series sponsored by the library. Event organizer Sidney Shackleton said the first demonstrations were well-attended. How may I help you sirs? But Tuesday afternoon it was sunny and 75, waaaayyyy too nice to be inside. Tucker and I walked over from the store and waited in the big room full of empty chairs, and Sidney got a little frustrated. "There's nobody in the actual library, either," he said. "When it rains or when it's really hot, it's packed and you can't find a parking spot." Tucker and I were going to talk about being responsible pet owners, how most of our Second String Music customers love Tucker, Fast Eddie and our new puppy, Angus. Not everybody likes pets, however, so you have to be considerate. It is a business, as even Tucker admits. So we waited for a few minutes, and when it became painfully obvious nobody was coming, Tucker stood up and said, "Let's go." Hey. I'm fine with it. I'm used to drawing standing room only crowds, especially because empty chairs have legs. No big deal to me. Tucker seemed sad. "I was really looking forward to telling them about how I love guitar lessons and how I'm really good with kids in the store," he said. "It's not your fault nobody showed up," I said. "The weather was too nice and it was just one of those things. 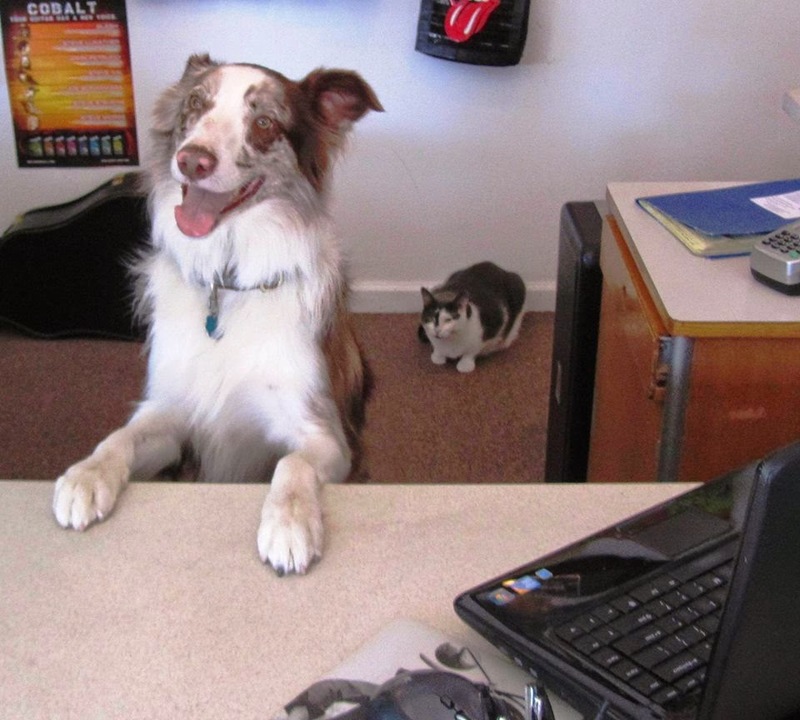 They didn't realize they were getting an amazing presentation by the best Border Collie of all time." Tucker looked at me and rolled his eyes. "Actually," he said, "I'm sure most people looked at the sign in the window and said, 'Rodney Who?'" Bested by a smart dog - again!